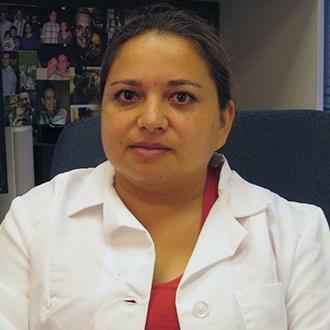 The oceans are part of America’s newest medical frontier. 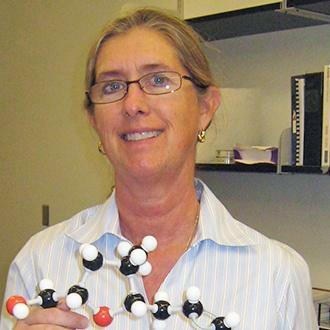 In Florida, scientists are studying a variety of marine invertebrates which may hold the key to unlocking the secrets of our own biology. At Harbor Branch Oceanographic Institute in Fort Pierce, researchers are testing sea sponges for their potential anti-cancer properties. 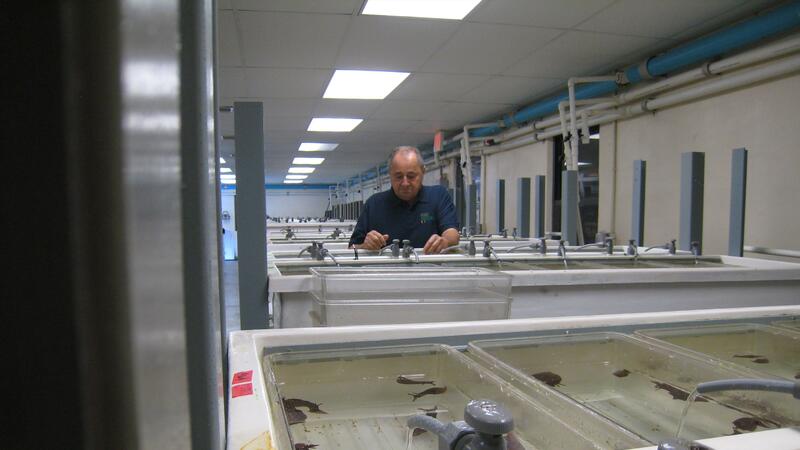 At The Whitney Laboratory for Marine Bioscience in Marineland, experts are taking a closer look at horseshoe crabs to better understand how eyes function and change with age. 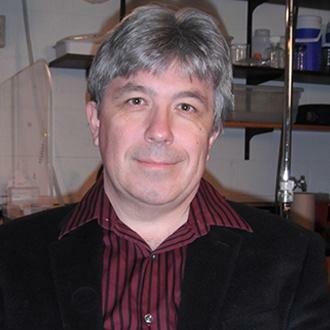 Scientists there are also studying sea slugs for insights into neurodegenerative disorders such as Alzheimer’s and Parkinson’s disease. 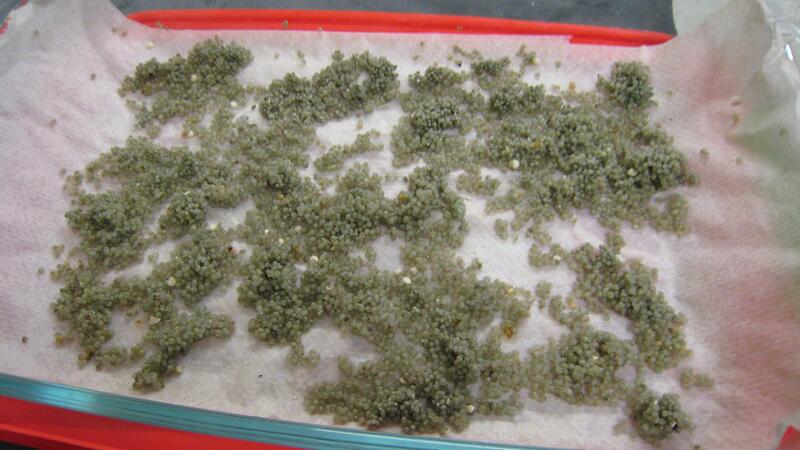 What clues will these and other simple organisms reveal about the human body? 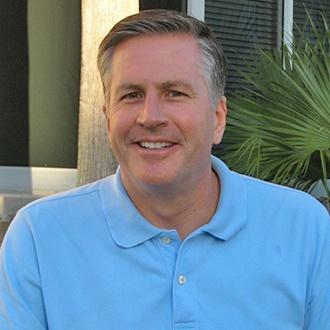 Are there cures that lie beneath the waves? 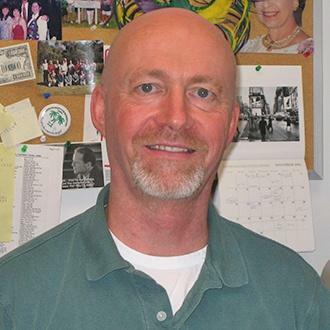 Meet the experts featured in this episode. 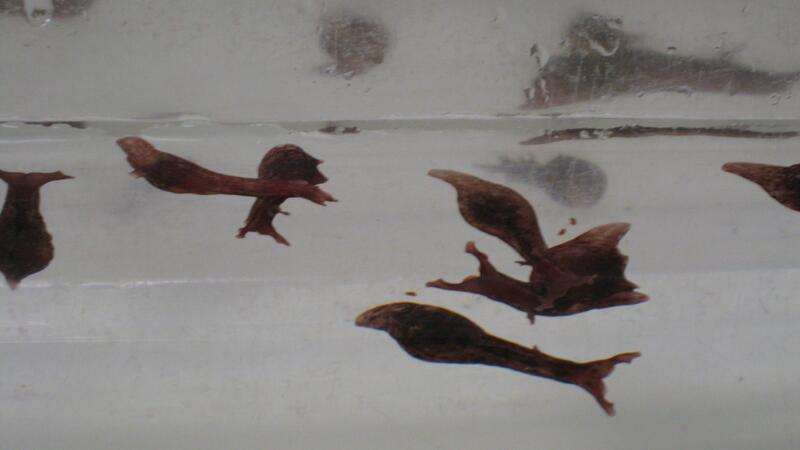 Aplysia californica, or California sea hare, are raised at the National Resource for Aplysia in Miami, Florida. 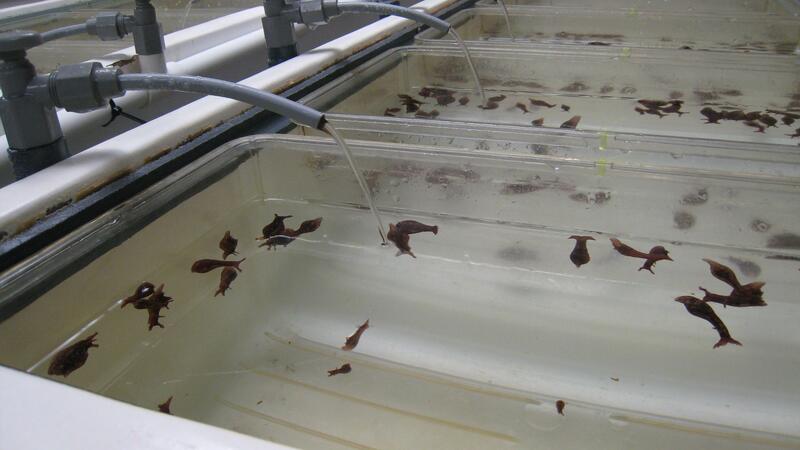 Cold saltwater pours into tanks filled with California sea hares at the National Resource for Aplysia in Miami, Florida. 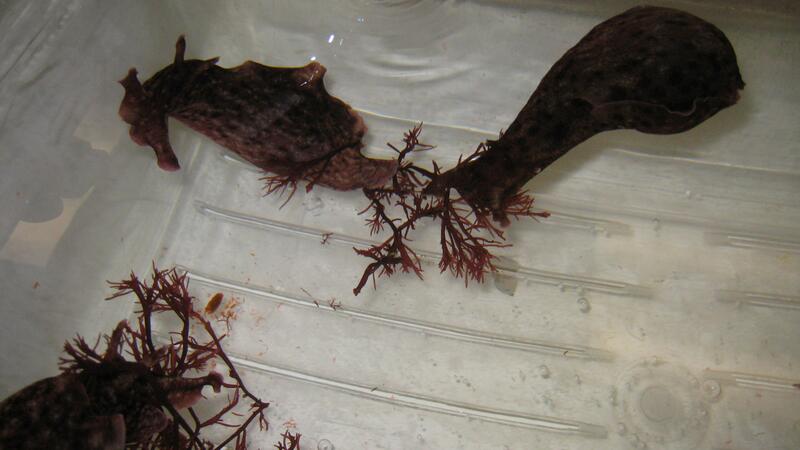 California sea hares (Aplysia californica) line the walls of the saltwater tanks at the National Resource for Aplysia facility in Miami, Florida. 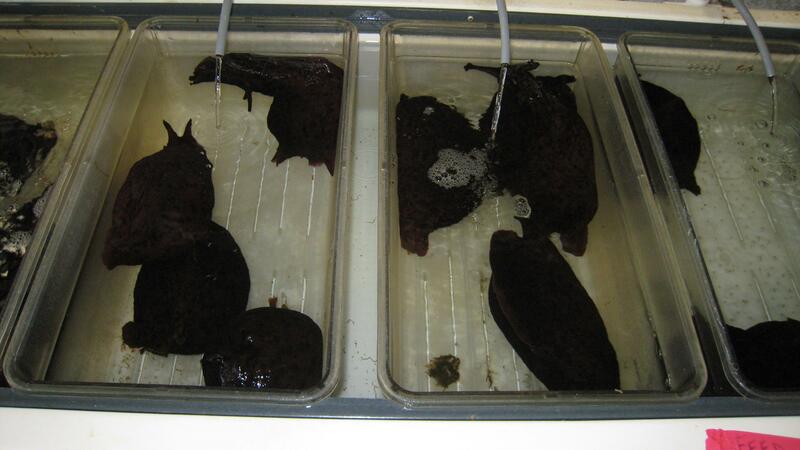 Large California sea hares are being raised at the National Resource for Aplysia facility in Miami, Florida. 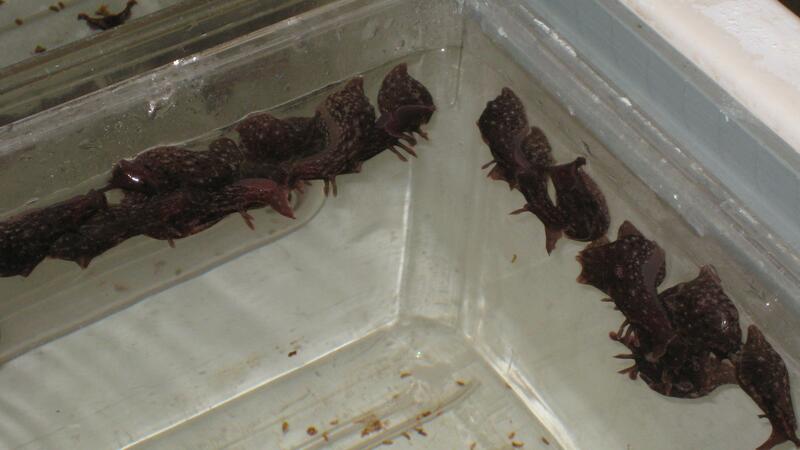 California sea hares have a lifespan of approximately one year and can grow as large as the size of a dinner plate. 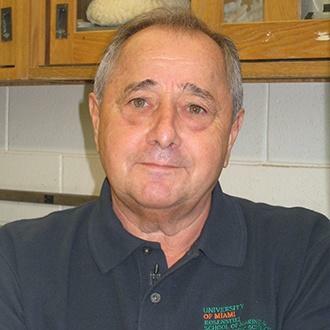 Thomas Capo, Founder & Manager of the National Resource for Aplysia, at his lab in Miami, Florida. 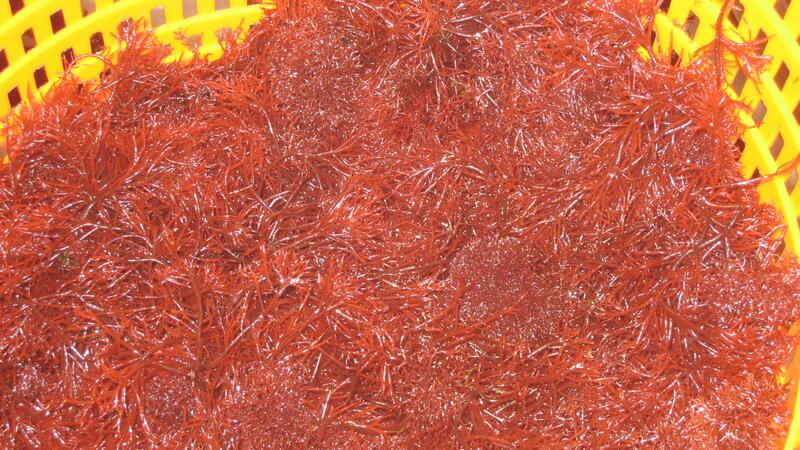 Red macroalgae, food for Aplysia californica, is cultured and grown at the National Resource for Aplysia in Miami, Florida. 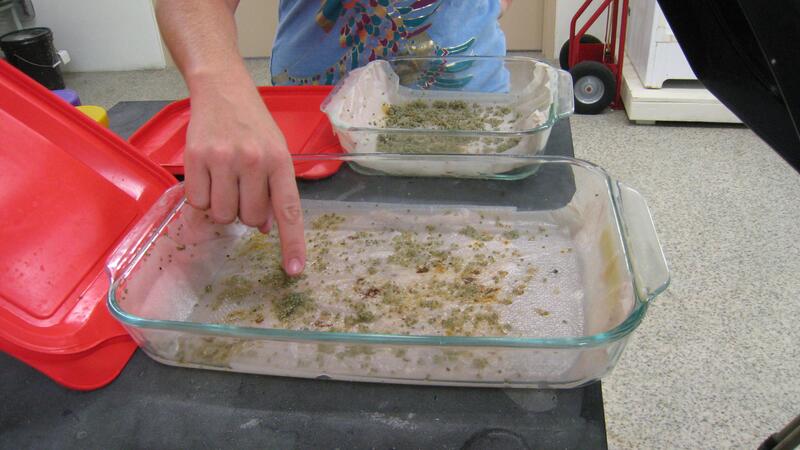 Florida Institute of Technology graduate student Casey Boleman points to horseshoe crab eggs which are being raised in the lab. Videographer/editor Sean Hickey films while Florida Institute of Technology graduate student Casey Boleman points to horseshoe crab eggs. 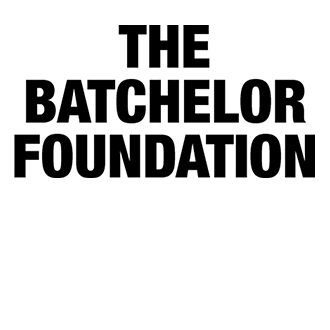 Videographer/editor Sean Hickey films Florida Institute of Technology graduate student and horseshoe crab expert Casey Boleman. 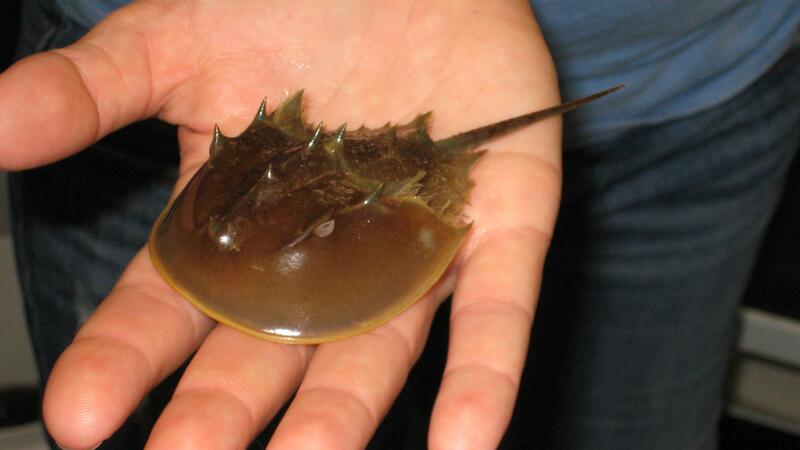 Florida Institute of Technology graduate student Casey Boleman holds the exoskeleton of a small horseshoe crab. 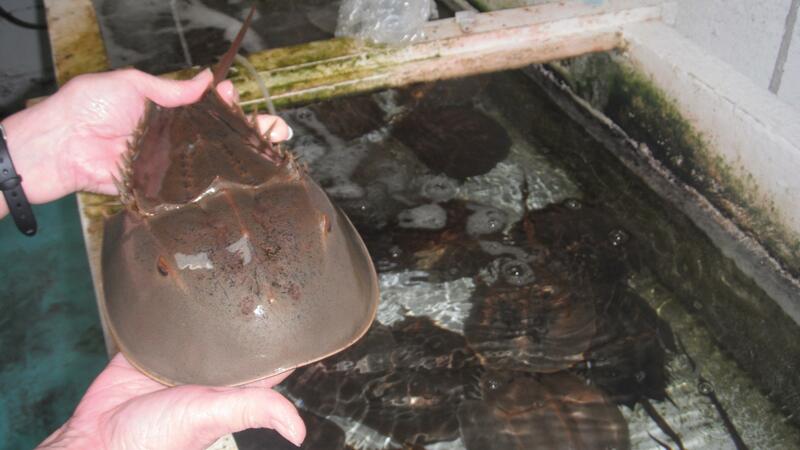 FIT experts use horseshoe crabs for studies that examine “the chemical and physical cues postlarvae and juvenile crabs use to locate and settle in estuarine nursery habitats." 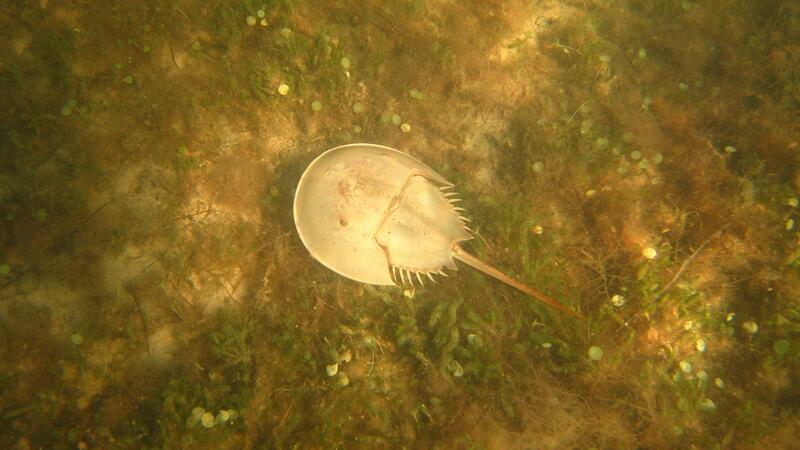 A wild horseshoe crab near Key Largo, Florida. 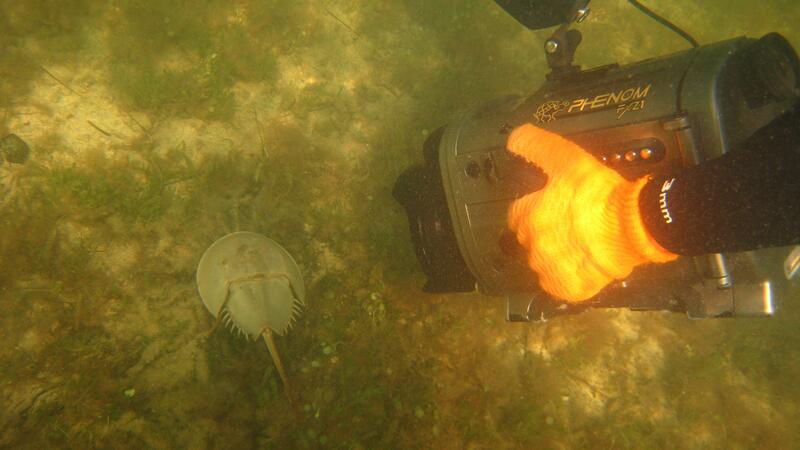 Videographer Jeremy Nicholson films a wild horseshoe crab in the waters off Key Largo, Florida. Videographer Sean Hickey and “Prescription: Oceans” Producer Kandra Velez prepare for a sit-down interview with Dr. Richard Tankersley from the Florida Institute of Technology. 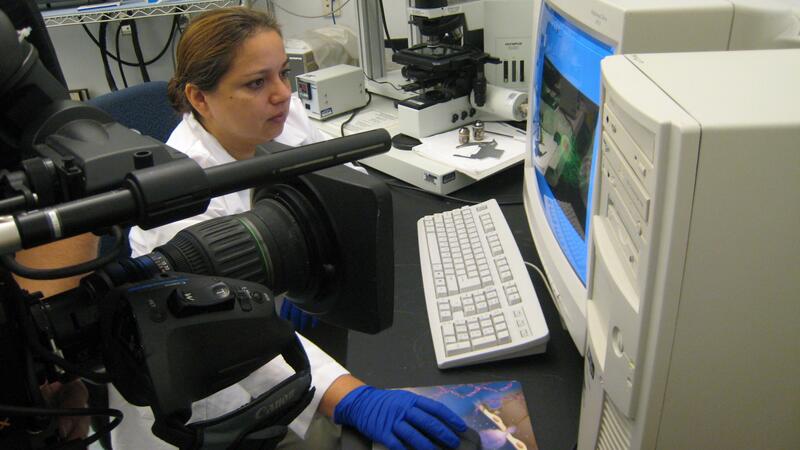 Videographer/editor Sean Hickey films Dr. Esther Guzman as she observes a three-dimensional image of cancer cells. 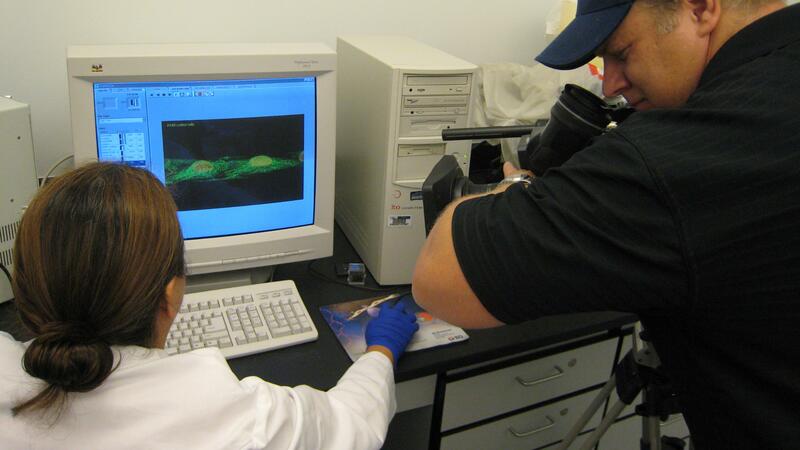 Videographer/editor Sean Hickey gets a close up of Dr. Esther Guzman’s computer screen, which displays a three-dimensional image of cancer cells. 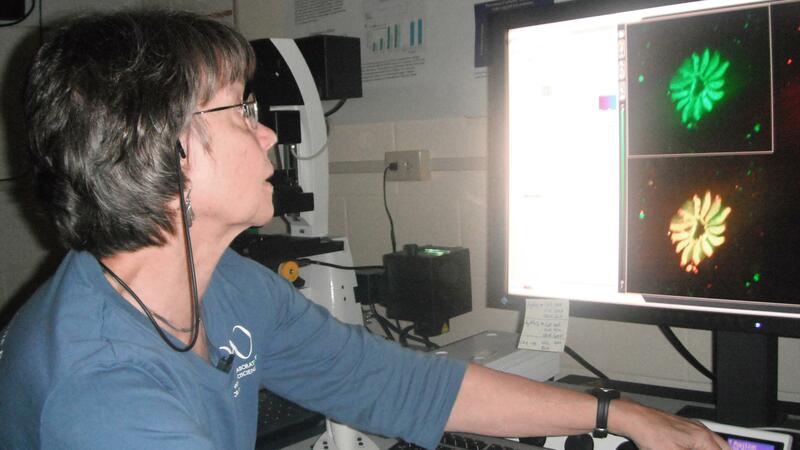 Dr. Barbara Battelle observes proteins from the compound eye of a horseshoe crab on the computer screen. 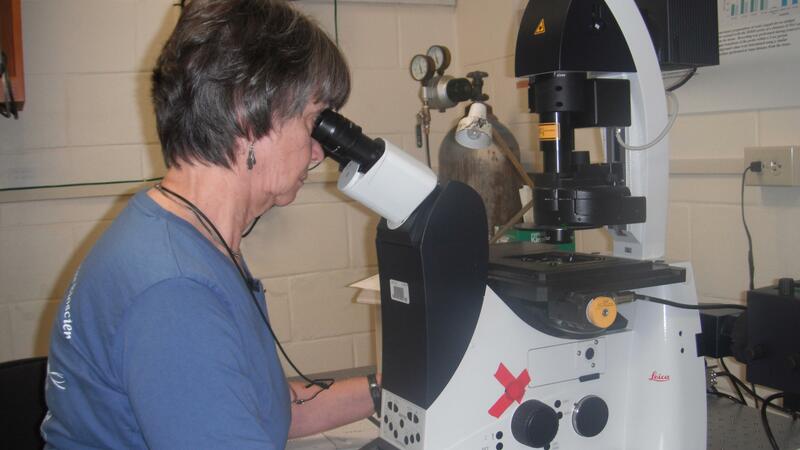 Dr. Barbara Battelle from The Whitney Laboratory for Marine Bioscience observes sections of tissue taken from the compound eye of a horseshoe crab. 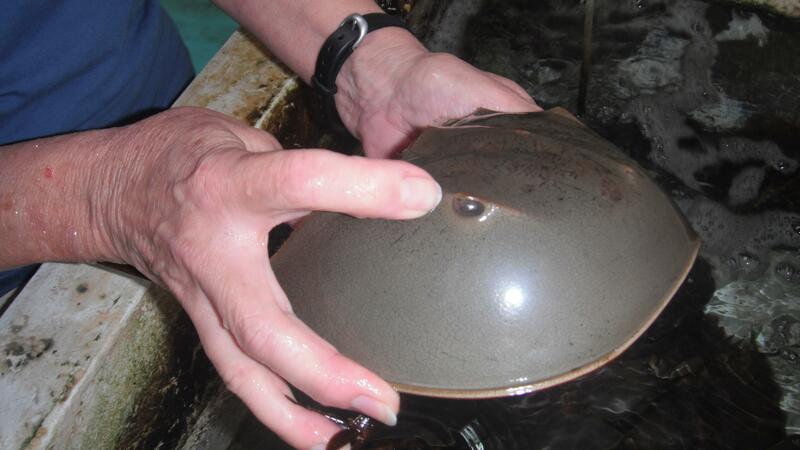 Dr. Barbara Battelle from The Whitney Laboratory for Marine Bioscience points to the compound eye of a horseshoe crab. 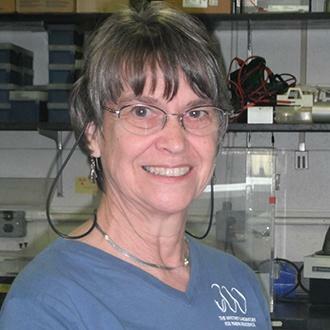 Dr. Barbara Battelle holds a horseshoe crab in her wet lab at The Whitney Laboratory for Marine Bioscience in Marineland, Florida. 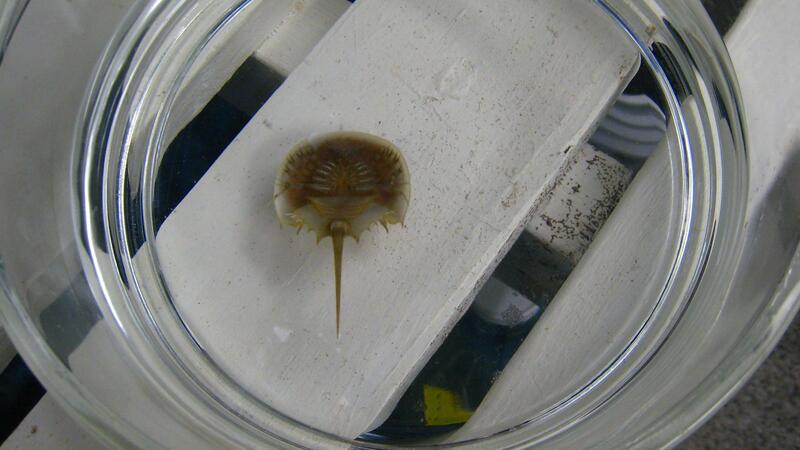 Horseshoe crabs at The Whitney Laboratory for Marine Bioscience are studied for their unique sense of vision. 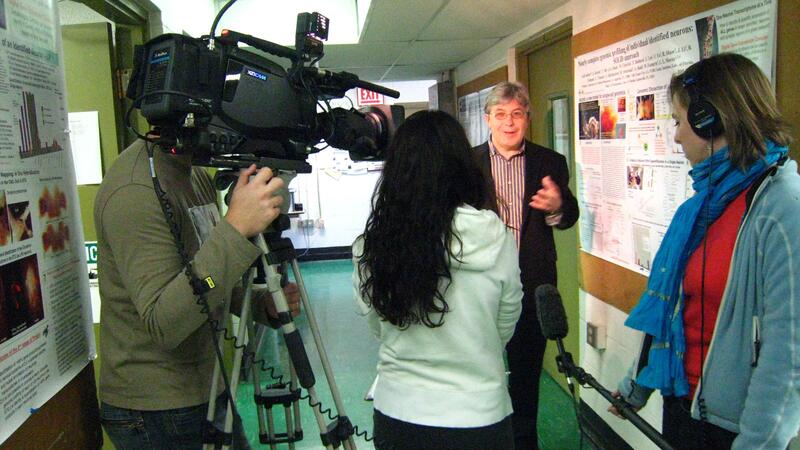 Crew members Jeremy Nicholson (left), Kandra Velez (center), and Veronique Koch (right) during an interview with Dr. Leonid Moroz (background) at The Whitney Laboratory. 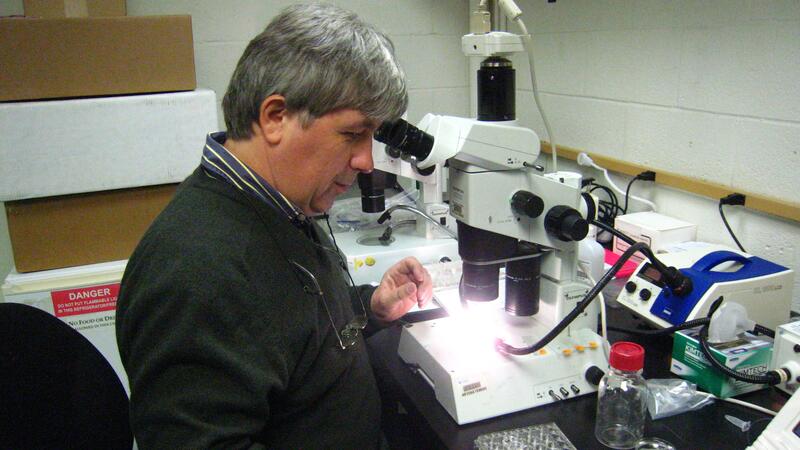 Dr. Leonid Moroz from The Whitney Laboratory for Marine Bioscience prepares to observe sea slug neurons using a microscope. 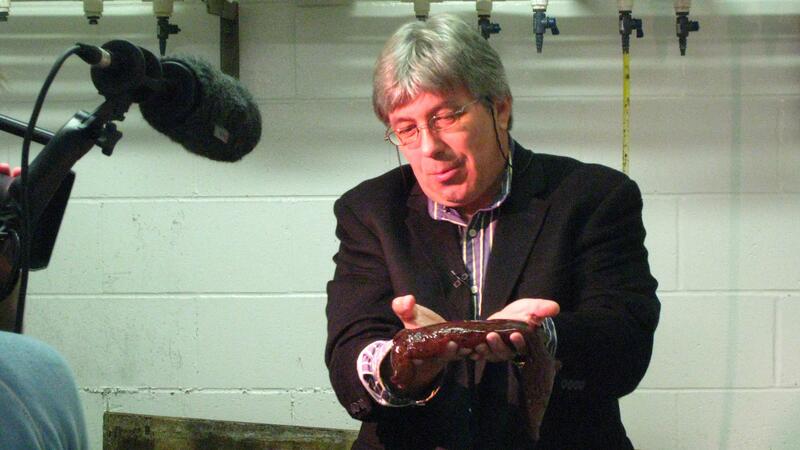 Dr. Leonid Moroz from The Whitney Laboratory for Marine Bioscience holds a large California sea slug. 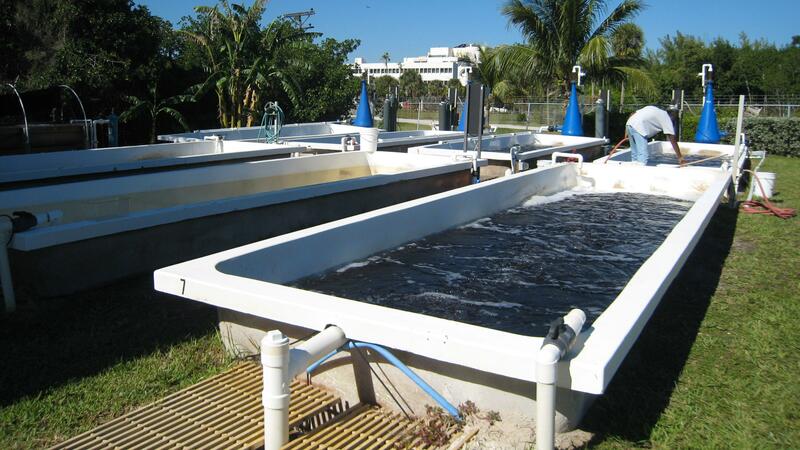 Sunlight and fresh seawater are used to grow red macroalgae, food for the California sea hares raised at the National Resource for Aplysia facility in Miami, Florida. Videographer/editor Sean Hickey films Florida Institute of Technology graduate student Casey Boleman as she grabs a container filled with horseshoe crab eggs. 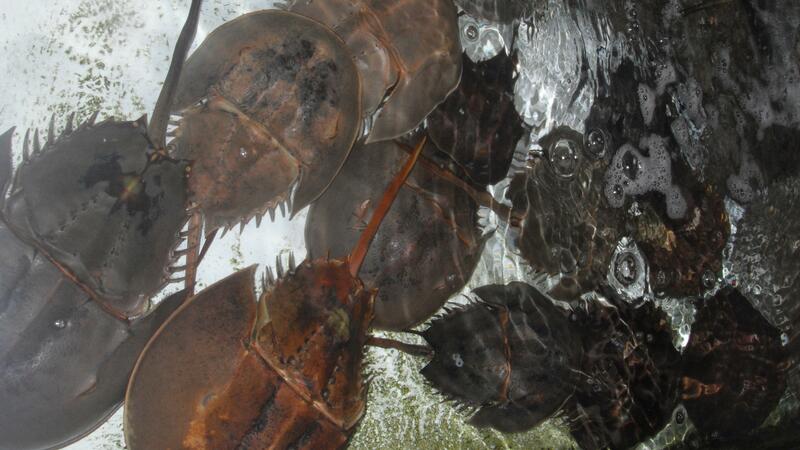 At Florida Institute of Technology horseshoe crab eggs are maintained on warm, moist paper towels to mimic natural conditions found in nests.